It is raining in Kyoto and the cherry blossom petals are falling. But don’t be sad! Because we are having a new event on next Saturday, the 14th of April! 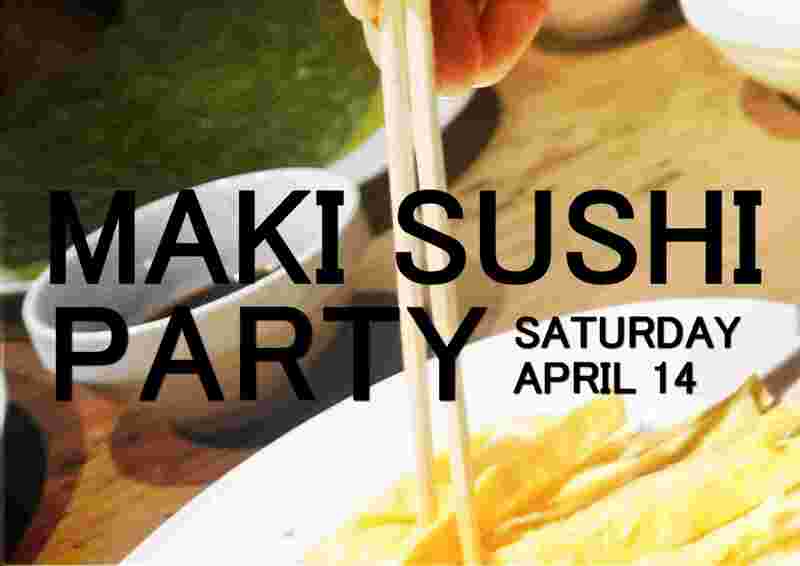 The theme of our event is Maki Sushi, rolled sushi. You can get to pick the ingredients you want to put in your sushi and make it yourself with the help of our new staff, Kazuha! Even better than cherry blossoms right? We will host this even in THE LOWER EAST NINE HOSTEL. It costs only 500 yens to join this event.